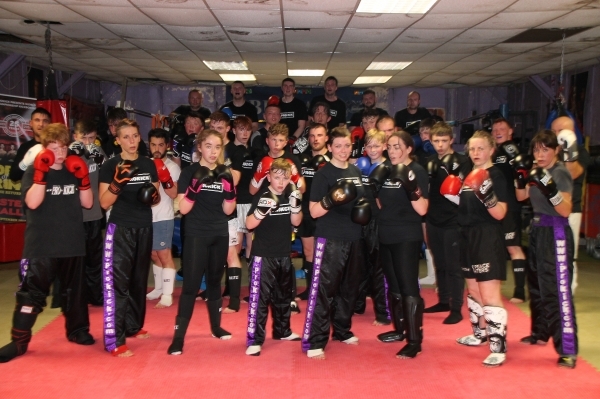 Well done all at our Wednesday night sparring class. This class is for the beginner who just want a few rounds of sparring in a controlled environment. The class for the beginner KICKS-OFF every Wednesday at 6pm. So please be early that's if you want a few rounds of light sparring and remember No fighters in this class unless prearranged. The fighters class at 6:45 is under restructure, details posted soon. These type of classes are to improve technique and allow our wannabe kickboxers the chance of a few rounds in the ring. If anyone wishes to become a competitor please talk with your instructor. Black ProKick t/shirt must be worn - bring your running shoes!